I am thrilled to have you at week #4 of A Little Bird Told Me Link Party! I am so glad you have stopped by and can't wait to see what you link up! 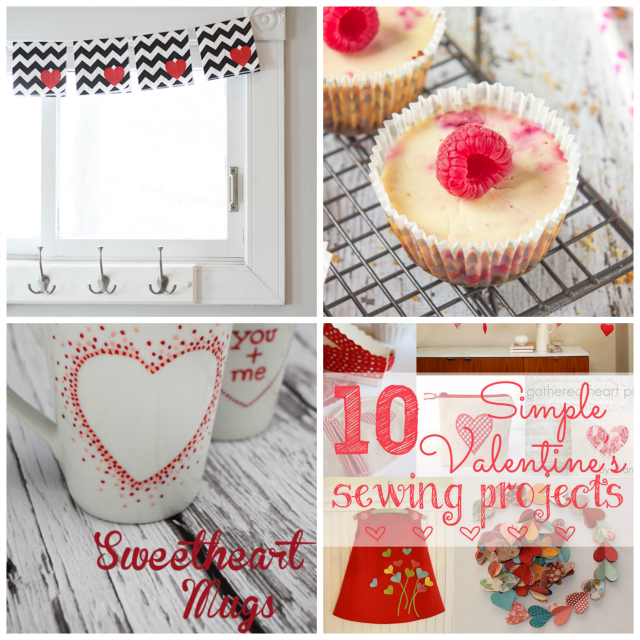 This week I am featuring a little Valentine's Day roundup! Super Simple Valentine's Day Garland by Cassie from Little Red Window Skinny Raspberry Cheesecake Bites by Annie from Annie's Noms Sweetheart Mugs Rachel from Craving Some Creativity 10 Simple Valentine's Sewing Projects by Leslie from The Seasoned Homemaker I love these ideas and am feeling ready for Valentine's Day! A big thank you to everyone who participated! Allison, thank you for the great party! I have put it on my settings to open whenever I boot up. Going to take some time to follow all of you so it seemed like the best way to remember to do it! I host the Wonderful Wednesday Blog Hop and Growing Circles G+ hop on my blog. Would love it if you'd stop by.